Are you a continuous learner with business leadership/entrepreneurial expertise and want to volunteer your time and talent to help existing small business owners achieve their goals? As you passionate about collaborating with others in the business community go grow a thriving small business ecosystem? 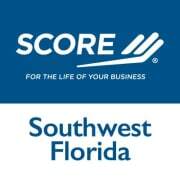 Volunteering your business expertise with SCORE Southwest Florida may be for you. Volunteer opportunities include: 1) Business Mentoring, 2) Conducting local workshops, 3) Developing innovative collaborations and programs with community organizations, or 4) Supporting Chapter operations as a committee or special project leader in areas such as client or member services, marketing, community outreach, fundraising, or workshops. Since 1976, SCORE SWFL volunteer business experts have served Lee and Hendry Counties including Ft. Myers (and beaches), Lehigh Acres, Cape Coral, Estero, Labelle, and surrounding communities. In 2017, SCORE SWFL volunteers delivered 1,560 total services and supported 100 new business starts and creation of 123 non-owner jobs.